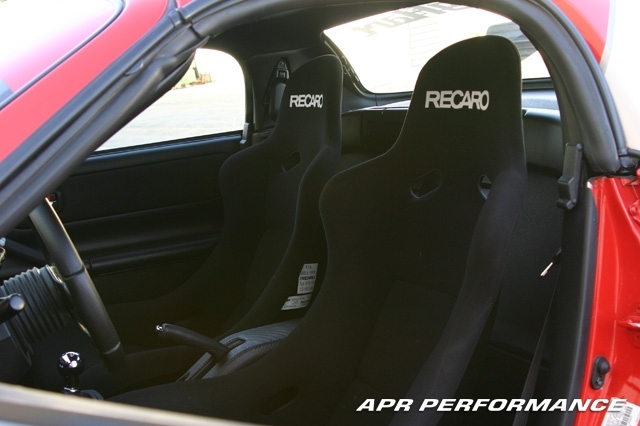 At a curb weight of just a little over 2,000 lbs, the MR-2 Spyder is one of the lightest roadsters available on the market today. 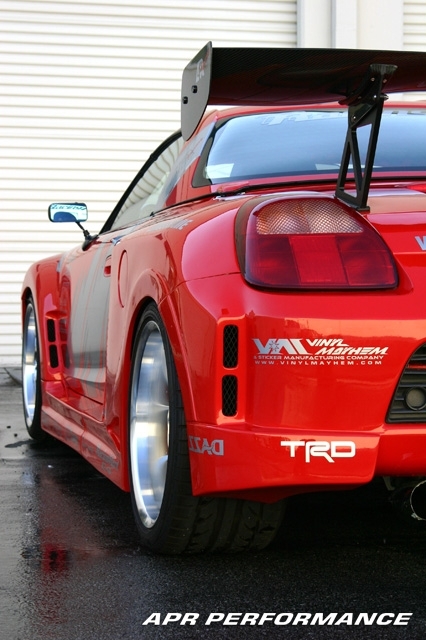 When bumping up the power in this little roadster rocket, the stock body and wheels can become outmatched by the increase in power. 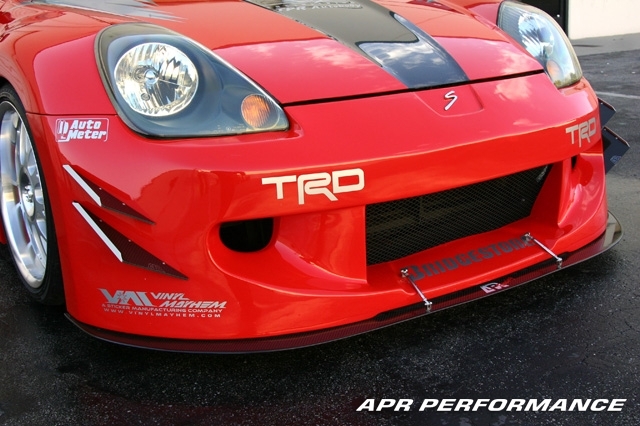 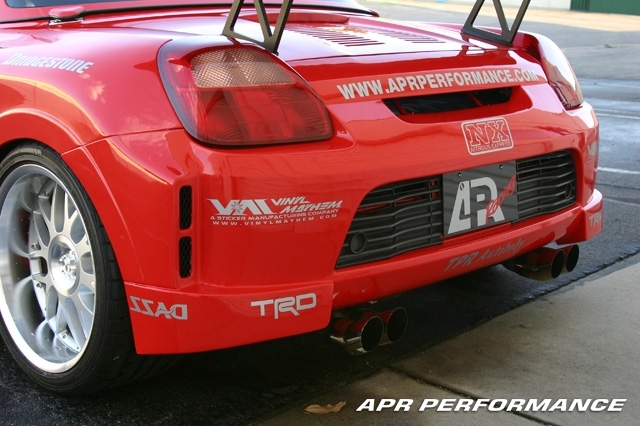 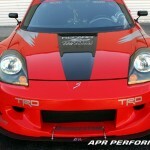 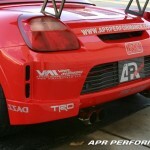 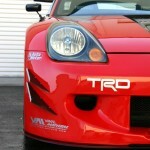 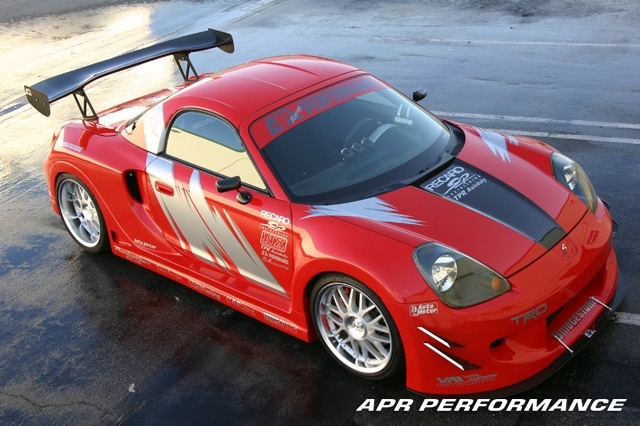 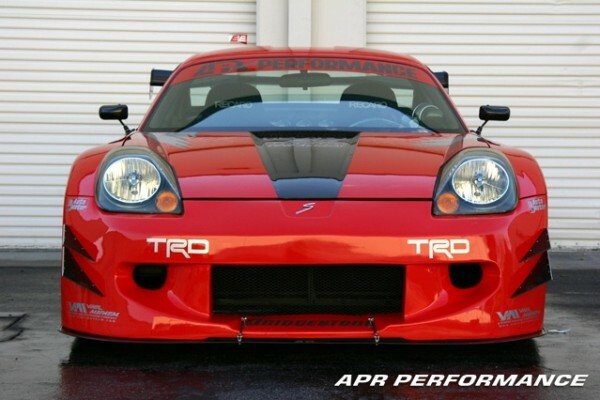 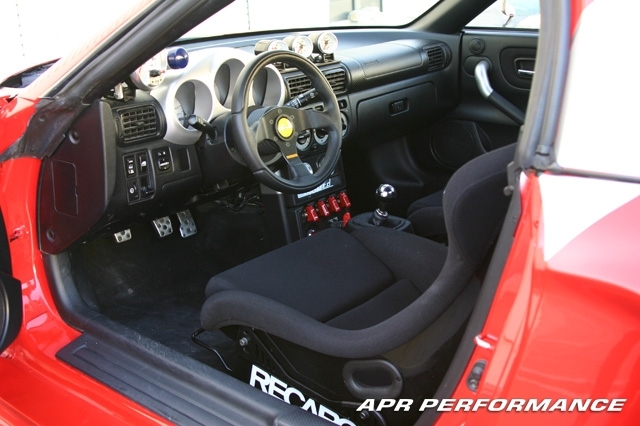 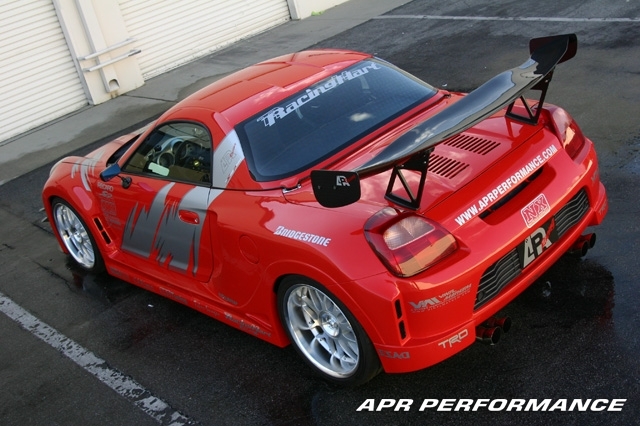 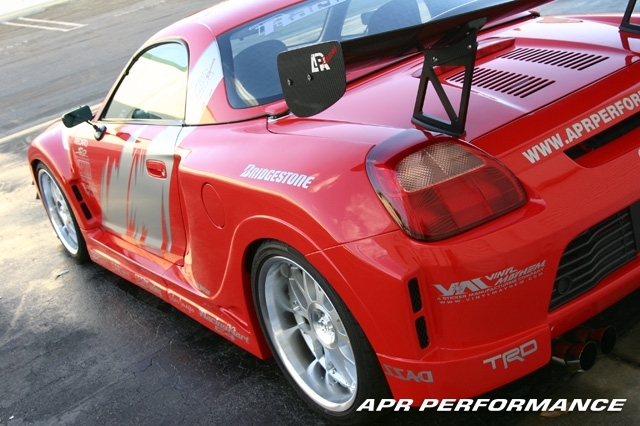 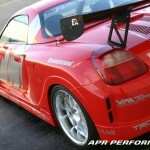 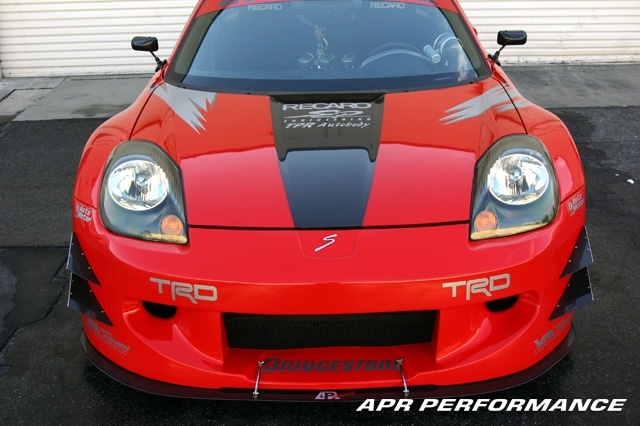 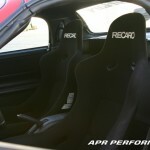 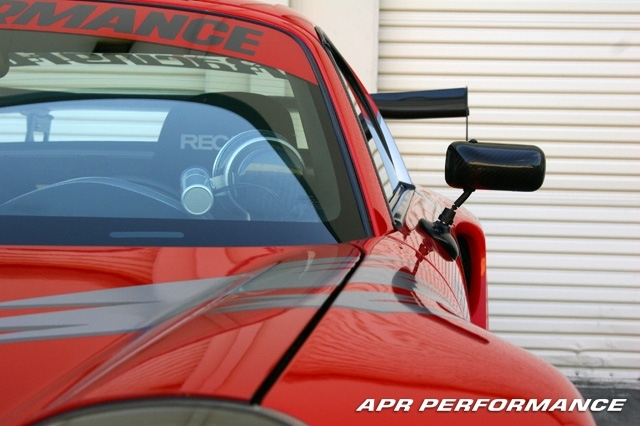 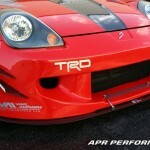 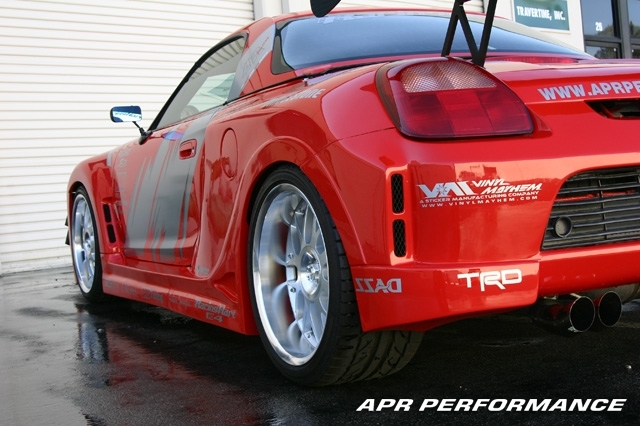 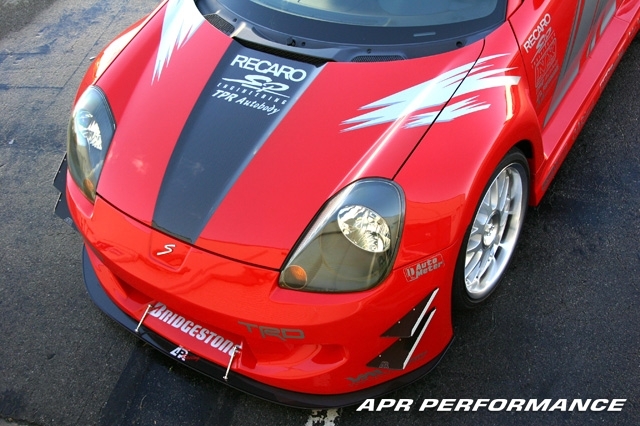 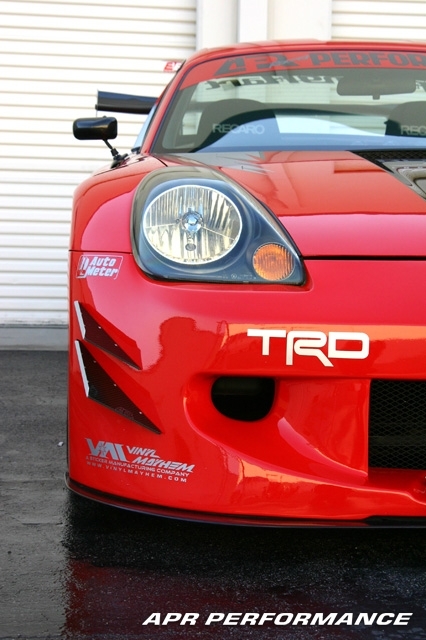 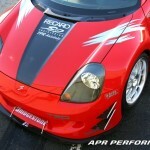 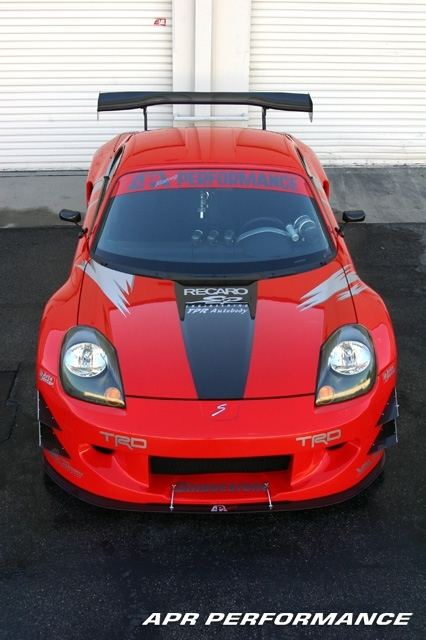 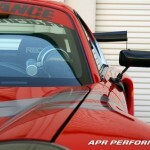 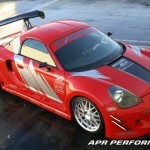 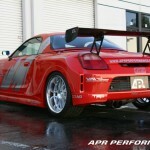 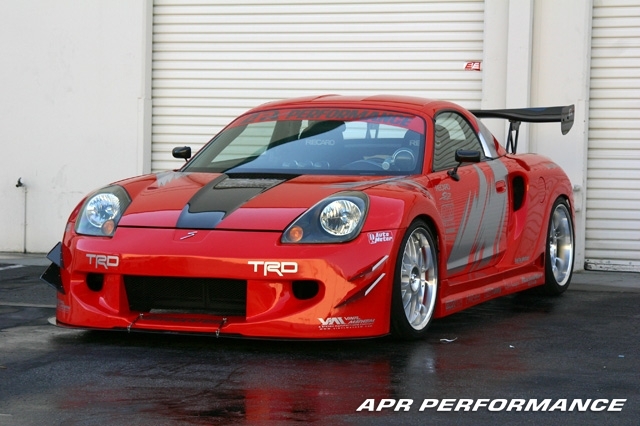 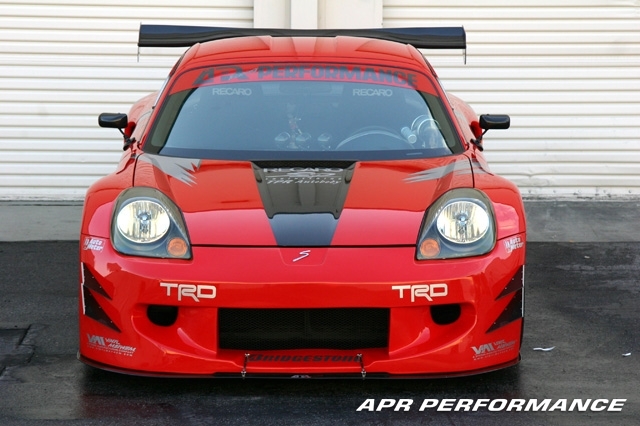 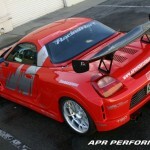 To help increase traction, APR Performance has developed the MR-2 Spyder S-GT Wide Body Kit. 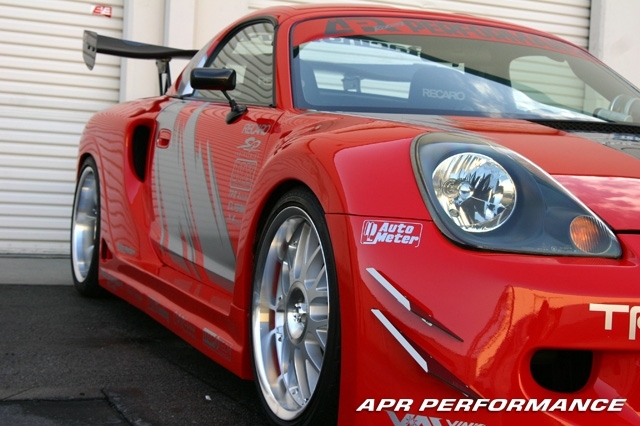 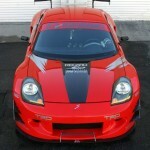 Other components are also included to further increase the aerodynamic performance of the S-GT Wide Body Kit. 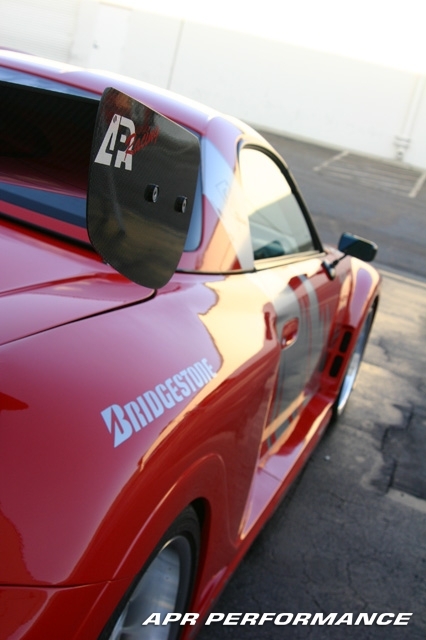 Because mid-engine rear wheel drive cars are prone to snappy oversteer due to the center of gravity near the middle of the vehicle, the front end of the MR-2 Spyder tend to be lighter in the front. 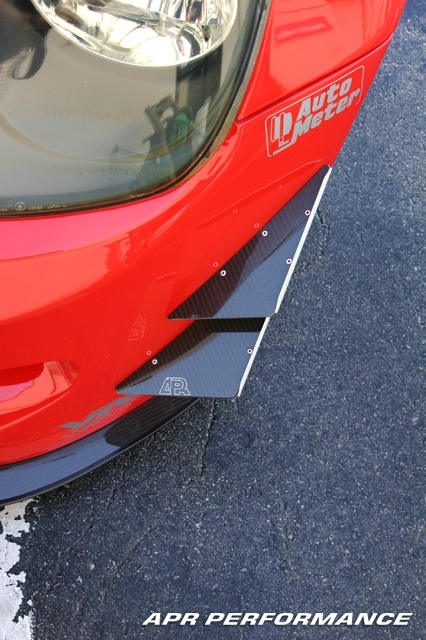 To combat this effect, a front splitter and canards are provided with the S-GT body kit to help increase the front wheel traction. 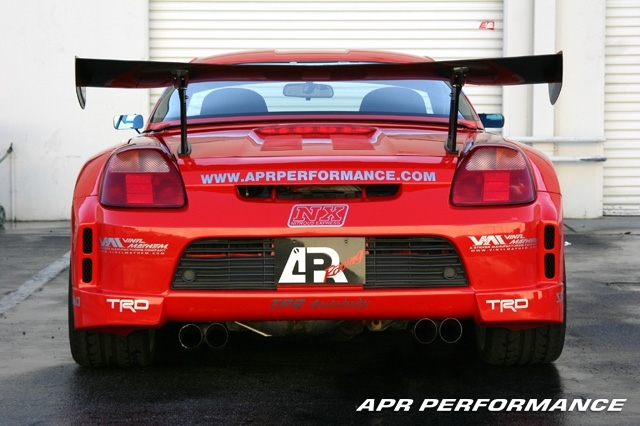 Enlarged side intake ducts were also designed into the S-GT body kit to increase the amount of air flowing into the engine bay. 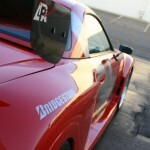 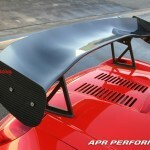 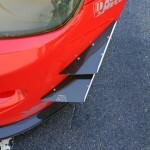 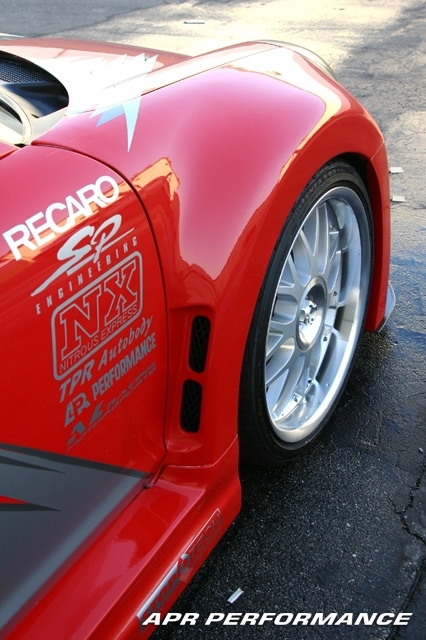 A GTC-300 Adjustable Carbon Fiber Wing is also used to maximize the amount of rear wheel traction the MR-2 can produce. 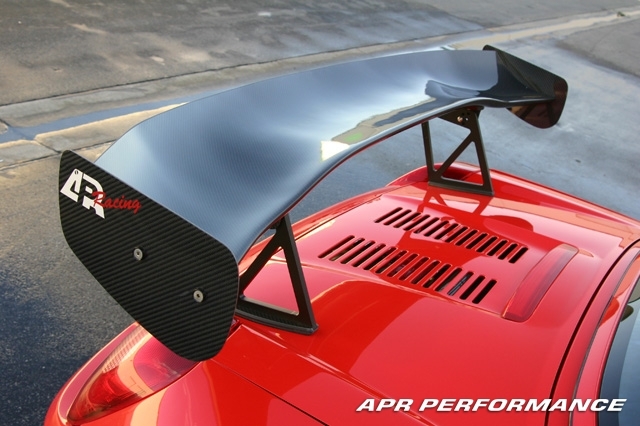 Finally there’s a wide body kit for the MR-2 Spyder that maintains clean street looks with all the components a race car needs.